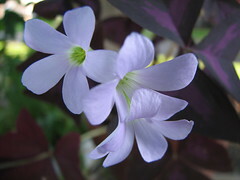 The Shamrock plant has a beautiful look with its delicate leaves, stems and soft flowers. It’s a unique plant as it grows from a bulb and has a long life span. But one thing many people do not realize is as a bulb it has to die down so they think the plant is dying. But what it needs is a resting period. Let the plant rest by cutting back on the amount of water and sitting in a shady place for a few weeks. 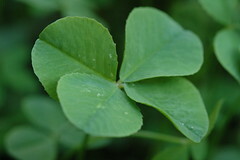 Saint Patrick’s Day is not complete without a Shamrock plant. The plant has a spring feel and signifies good luck. It’s a welcome addition to any home. But after it has flowered it will need a rest. How soon will depend on how hard it was forced to have flowers by Saint Patrick’s Day and on how it was treated before you bought the plant. If it was in poor lighting, cool areas or lacked water it may be stressed and need a break sooner. The Shamrock plant will need to rest a couple of times during the year. the leaves will yellow and look sad. Just remove the ones that are dying and cut back on water. Soon the plant will look very sad. It’s time to remove the leaves and stems to let the plant rest. I move the plant to a low light area and ignore. When you see signs of new growth on eh bulb bring the plant back into light and water. In no time at all the plant will spring to life. Any plant will need repotted after a bit. It gives the plant new nutrition, fresh soil and a clean or new home depending if you totally repot the plant. I repot my plants once a year. It gives me a chance to check the roots and see if they are healthy or root bound. I also like to give the plant a new pot and a new look. My Shamrock plants are several years old. Each year in late spring I replant them. Plants will let you know if they need replanted but by changing planters each year you know your plant is getting attention and proper care. This year I am changing my four shamrocks into different colored pots and adding a few mini ceramic pottery pieces to the pot for décor. To repot you plant, tap the sides of the pot to loosen the soil. Hold the plant in place down by the base near the soil and tip on its side. The plant should come out but if it hesitated push you finger into the drainage hole to coax the plant out. Check the look of the soil once the plant is out. If it has any crusty dirt or whitish spots remove them. Gently loosen the soil so that the plants roots breath better; but take care not to damage any plant roots. If you are using the same pot make sure you wash it well and let it dry completely. I am using new pots but have washed them and let them dry. I will place broken pieces of clay pot over the drainage hole to hold dirt in but let water drain through. Next put in about 2 two to three inches of rich soil in the pot. Set the Shamrock root ball onto the dirt, and carefully fill soil around the plant. Pat the soil around the base of the plant to hold it up right. Fill in the pot with more dirt until the pot is about 7/8th full. As a final step I place very small pebbles on the top of the soil. This helps to keep the soil loose so that the water will soak into the plant easier. As a last step, place your newly potted plant on a tray of pebbles. This creates more humidity around the plant and makes for a better plant environment. If by chance you plant has looked a little stressed or tired I will place a plastic bag tent over the plant to create a greenhouse effect. This perks almost any plant up immediately. Once my plant has adapted to its new pot I add the ceramic pottery pieces and select its home for the year. My shamrock plants have done very well over the years and have produced more bulbs, which I have potted up and given to friends. Enjoy your Shamrock plant. Tip: If your soil gets hard on the top of your plants during the year, gently loosen with a fork. Small pebbles should alleviate this problem.